Pennsylvania man Anthony Elonis had his appeal heard by the Supreme Court, and his conviction for violating a federal threat statute was overturned. The case garnered a lot of attention because of where Elonis made the threats. He used his facebook page to post statements discussing murder and other violent acts toward his ex-wife. He also threatened the FBI agent investigating him and made mention of perpetrating a school shooting. His original defense and appeal challenged the notions of free speech and what could be considered a threat. It is also the first time the Supreme Court has heard a case revolving around social media. It was watched closely by many, especially advocates for the victims of domestic violence. Elonis and his attorney repeatedly compared his posts to the controversial lyrics of rapper Eminem, saying that Elonis used his facebook page as a creative outlet, not an arena to intimidate his estranged ex-wife. The original conviction claimed that Elonis knew he was communicating a specific threat at his ex-wife, but the Supreme Court ruled that there was not sufficient proof to make that judgement. Social media is a relatively new medium of expression, and the law often plays catch up to developments in technology. When you’ve been accused of a crime, a consultation with a criminal lawyer is the first step towards clearing your name. “Alex Rodriguez” by Keith Allison from Baltimore, USA – Alex Rodriguez. Licensed under CC BY-SA 2.0 via Wikimedia Commons. 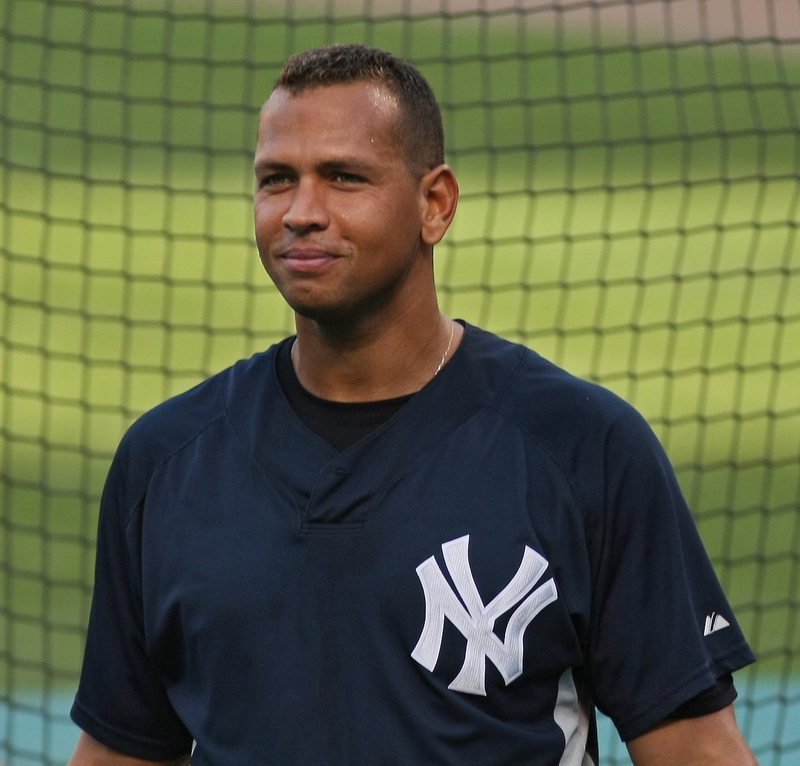 Popular New York Yankees baseball player Alex Rodriguez, is once again making headlines; this time for his alleged admission of using performance enhancing drugs (PED). Last year, Rodriguez was accused of purchasing PEDs from Biogenesis of America, an accusation he vehemently denied in public, but was suspended for. This week, however, the Miami Herald reportedly uncovered a 15-page report from a Drug Enforcement Agency (DEA) meeting in Miami with Rodriguez that took place in January. During that meeting, Rodriguez admitted under oath that he purchased PEDs for roughly two years at the price of $12,000 per month. In exchange for his testimony, Rodriguez received immunity from prosecution. One thing is for sure; this story is far from over. It will be interesting to see how this plays out, including how the immunity agreement holds up. If you believe that you have been wrongly accused of using or distributing PEDs or other illegal substances, The Spatz Law Firm may be able to help. With over 35 years of trial experience, Russell Spatz is a successful criminal defense lawyer who also served as an assistant State Attorney. There are a multitude of factors that into illegal drug cases and a defense attorney can help you understand the charges as well as your rights. MiamiHerald.com, “Alex Rodriguez’s DEA confession: Yes, I used steroids from fake Miami doctor,” Jay Weaver, 05 November 2014. On May 7th, 2012, Broward County instituted a new Veteran’s Treatment Intervention Court program designed to give veterans the option of participating in a program which can ultimately divert them from the criminal justice system and lead to the dismissal of charges. The County works with the United States Department of Veteran’s Affairs (VA), which provides a Veteran’s Justice Outreach Coordinator (VJO) to develop individualized treatment plans for each veteran. The VJO will act like a mentor, working with the veteran to stop the behaviors and mitigate the problems that led to the veteran’s arrest. In addition, Impact Broward will provide a volunteer mentor program comprised of specially trained volunteers who will understand military culture and veteran needs. The program is established to cover both County and Circuit criminal cases; the individual defendant must be a veteran or service member. Additionally, the defendant must suffer from a military-related mental disease, traumatic brain injury, substance abuse disorder, or psychological problem. If the defendant is terminated from this court program for any reason, the case will be transferred to the originally assigned division for further proceeding. A client, who was recently facing felony charges, was able to successfully opt into this program which can be very helpful to veterans and former service members. Unfortunately, the number of participants may be limited according to funding available for community and Department programs. Recently, a client, who was facing felony charges, was able to successfully opt into this program, which can be very helpful to veterans and former service members. It’s a laudable achievement that could help many more who served our country. This new service is meant to provide lasting treatment for vets, with the goals of improving recidivism and, of course, improving public safety. There are higher levels of homelessness and unemployment among veterans when compared to civilians. The Department of Housing and Urban Development’s Annual Homeless Assessment Report reported 144,842 veterans were homeless in 2010. And despite a reported decrease in unemployment rates for veterans, 44 percent of veterans participating in the Veteran’s Employment Challenge study stated they were not ready to make the transition to civilian life. Veterans with physical or mental-health issues were twice as likely to feel the same. This is a population that deserves specialized attention. The VTI makes use of treatment and counseling programs already in place through the VA to help reintroduce these veterans to civilian life. Circuit Court of the Seventeenth Judicial Circuit in and for Broward County, Florida, “Administrative Order Establishing Veterans Treatment Intervention Court Program,” Chief Judge Peter M. Weinstein, 7 May 2012. Federation of American Scientists, “Congressional Research Service Report for Congress: Veterans and Homelessness,” Libby Perl, 2 February 2012. WashingtonPost.com, “Finding a job biggest challenge for veterans, survey finds,” Steve Vogel, 19 August 2012.